You’ve met your soul mate, the relationship is going better than you had ever hoped, and you couldn’t be happier. 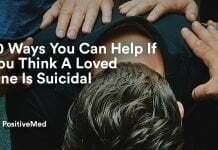 Gradually though, you begin to feel like you’re unable to keep your partner happy no matter what you do and the two of you don’t get along well. Of course, it’s your fault because your partner is the same wonderful person you fell in love with. 1. You’re constantly giving in. in any successful relationship, there has to be give and take between the partners. 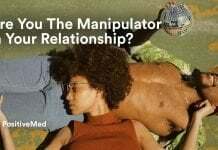 However, if you are constantly acceding to your partner’s preferences, especially when you’re going against your beliefs or morals, you’re probably being manipulated. 2. You’ve lost your self-confidence. Your partner is constantly making suggestions on how you can improve yourself, whether in your career, your clothing styles, your choice of friends, or similar. He or she may be manipulating you under the guise of “I only want to help you be your best.” When you’re constantly reminded that you are lacking in many areas, it can wreak havoc on your self-esteem. 3. Dread or anxiety has taken over your life. Each time that you contemplate asking your partner for a favor or expressing an opinion that is in opposition to his or her opinion, you dread the outcome or you are so nervous about it, you elect to skip it altogether. 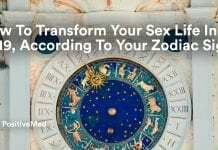 You may also dread the favors your partner asks of you because they are often in opposition to what you want to do or what your moral compass permits. You know you’ll give in to his or her demands rather than face the alternative, but you feel miserable because you can’t stand up for yourself. 4. You’re never good enough, no matter what you do. Your partner’s expectations are impossibly high and keep growing. No matter what you do, it’s never good enough and your partner keeps reminding you that you’re a perpetual disappointment. According to your partner, you’re exhibiting selfishness when you want or need to do something for yourself, particularly if it’s contrary to his or her desires.